Overhaul and annual survey complete, Caledonian MacBrayne's CORUISK sailed from the Garvel yard this morning firstly for trials, and then to Rothesay to take over on the Wemyss bay service. Her arrival there will allow the two regular ships on the crossing to visit Garvel for their own surveys. 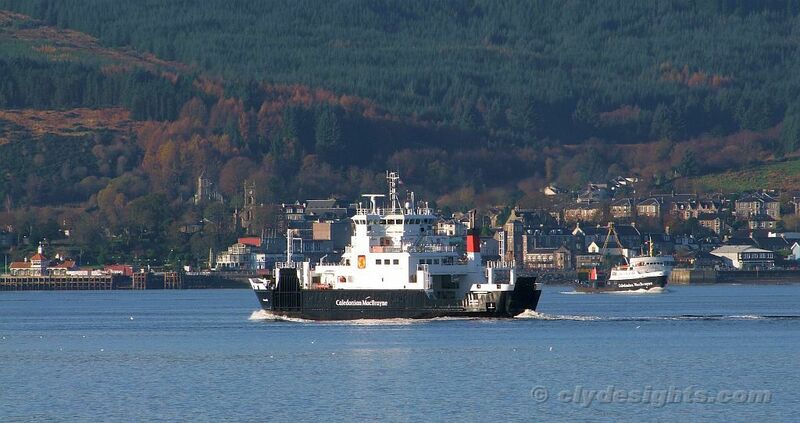 Following this spell of relief duty, CORUISK will probably head to her winter berth in King George V Dock until she resumes the Mallaig-Armadale service next spring.